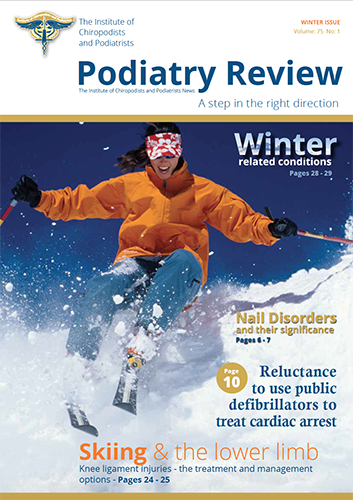 Podiatry Review is the quarterly journal published by The Institute of Chiropodists and Podiatrists which has all the latest news and updates for members, students and subscribers. It is packed with podiatry and health articles, along with profession news and is a good source for obtaining CPD. Please select if you would like the UK delivery option or Overseas option.